In our last blog, we shared the first part of this series discussing the hidden dangers of do-it-yourself estate planning. In part two, we cover one of the greatest risks posed by DIY documents. In this way, DIY wills and other legal documents are among the most dangerous choices you can make for the people you love. In part one, we discussed the many ways DIY plans can fail, and here we’ll explain how these generic documents can leave the people you love most of all—your children—at risk. It’s probably distressing to think that by using a DIY will you could force your loved ones into court or conflict in the event of your incapacity or death. And if you’re like most parents, it’s probably downright unimaginable to contemplate your children’s care falling into the wrong hands. Yet that’s exactly what could happen if you rely on free or low-cost fill-in-the-blank wills found online, or even if you hire a lawyer who isn’t equipped or trained to plan for the needs of parents with minor children. Naming and legally documenting guardians entails a number of complexities of which most people aren’t aware. Even lawyers with decades of experience frequently make at least one of six common errors when naming long-term legal guardians. 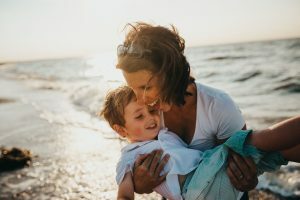 If wills drafted with the help of a professional are likely to leave your children at risk, the chances that you’ll get things right on your own are pretty much zero. Or perhaps the guardians you named in the will live far from your home and it could take them a few days to get there. If you haven’t made legally-binding arrangements for the immediate care of your children, it’s highly likely that they will be placed with child protective services until those guardians arrive. This is so important, we’ve even created an easy-to-use (and absolutely free) website you can visit right now to take the first steps in naming the long-term guardians you’d want to care for your children if you could not. Besides, proper estate planning doesn’t have to be super expensive, stressful, or time consuming. Working with us as your Personal Family Lawyer®, planning will not only be as stress-free as possible, but we offer options for all budgets and asset values.